Are you looking for a high powered professional quality sewing machine that will be the last one you’ll ever need to purchase? Do you want something that will help you power through some of the toughest stitching you may need to finish? The Juki HZL-F600 is a computerized sewing machine that won’t let you do any embroidery, but it will let you do virtually anything else. It’s incredibly quiet, awesome in power, and a workhorse that is beyond compare. Shop today and you’ll even be able to save $700 on this particular Juki model! What Features Does the Juki HZL-F600 Have? there’s a larger than average work space that is 8.12.25” so that you’ve got some extra space to work without having a much larger footprint. Although this Juki sewing machine could best be described as a beast, it is still reasonably lightweight at just over 20 pounds. You’ll be able to use it in virtually any environment at a location that works well for you so that you can get through all of your sewing chores quickly and efficiently. Is There An Advantage To Purchasing the Juki HZL-F600? There is absolutely no fabric shrinkage when you’re using this Juki sewing machine, even if you’re sewing on the lightest of lightweight materials. This is because of the box feed design that is incorporated with the machine so that the feed dog is in contact with the material longer. You’ll also get free motion sewing options thanks to the stable thread tensions that are very consistent and this industrial-strength machine is strong enough to even sew through thick handles. If there was one place where we might look for an improvement, it would be with the random stitches that you can incorporate into your design. The randomness is almost too much and doesn’t really work well for most applications. 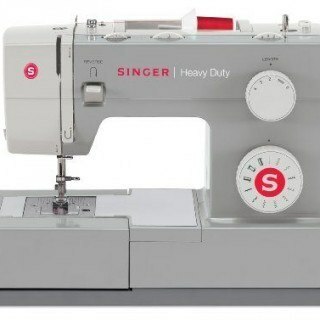 Beyond that one issue, we’re confident in saying that this could be the best sewing machine overall on the market today. 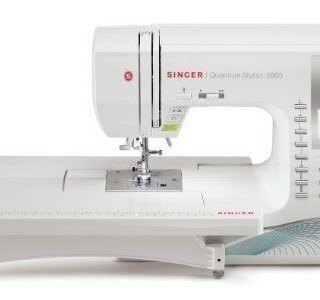 It’s strong, reliable, and will let you sew for hours at a time without an issue. 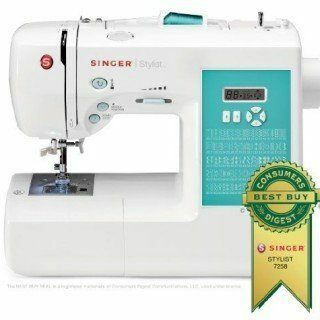 If you’re ready to take your sewing to the next level, even if you’re already a professional, then this is without a doubt the sewing machine for you. 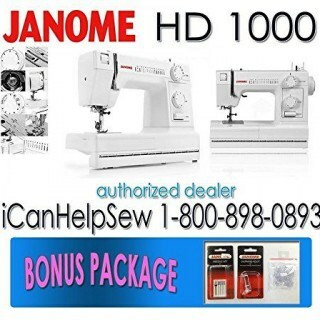 Click here to look at pricing on Amazon and buy theJuki Computerized Sewing Machine HZL-F600. I purchased the Juki HZL-F600 several years ago to replace a 35 year old (top of the line) Elna. The Juki is hands down the best machine I’ve used. It makes the best buttonhole of any machine I’ve used, thanks to the large foot that holds the material still and flat. It has way more stitches than I’ll ever be able to use, but it’s nice to know they are there. I would give this machine 5 stars for sure. Besides the awesome buttonholes, I love the knee lever for lifting the foot, it gives you that 3rd hand when you are sewing in a difficult spot. I also love the dual action pedal that snips the thread and lifts the needle when you press back with your heel. I honestly cannot come up with any “cons” for this machine!